The 2018 Perennial of the year is Allium ‘Millenium’. Blooming at a time when most of our garden begins to decline in the tired excess of the season, ‘Millenium’ offers much needed color. 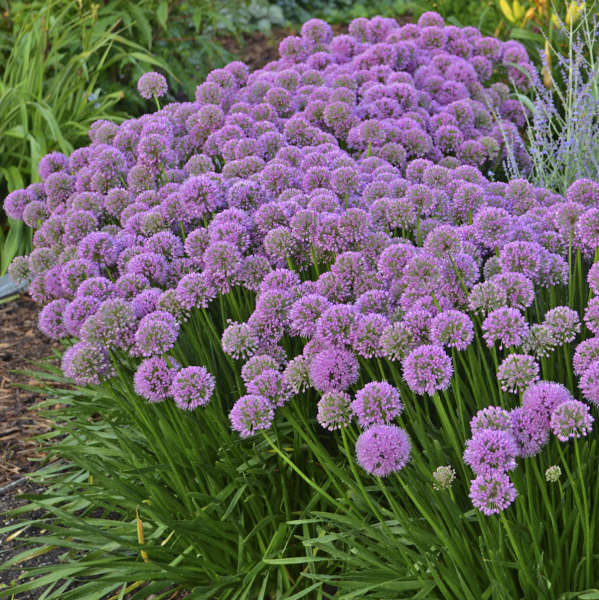 It is truly an all-season plant that offers attractive shiny foliage spring through summer and caps off the season with its perfectly round 2’’ rose-purple blooms! While some Alliums tend to look straggly in the heat of the summer, ‘Millenium’ does not let the heat bother it. 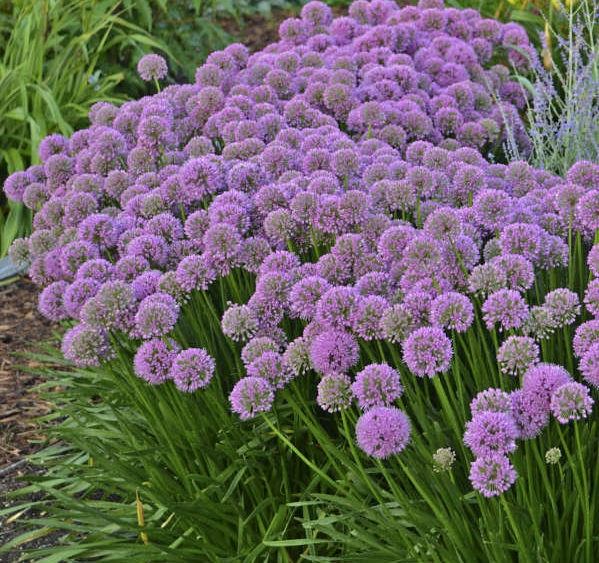 It is the perfect addition to a full sun garden and is a magnet for pollinators to flock to! Reaching a height of about 15’’, you will not be disappointed with this low maintenance perennial. Millenium’s glossy thick green leaves look great planted alongside the silver foliage of Perovskia Russian Sage. Both varieties each bloom purple flowers which complement each other in the garden.